The British Library, the national library of the UK and the second largest library in the world, holds extremely valuable collections including manuscripts, sound recording, drawings and around 14 million books. 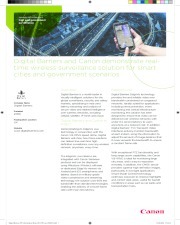 The previous security system had been in place for 20 years and was struggling to keep up with the rapid evolution of technology, as well as the changing needs of the institution. 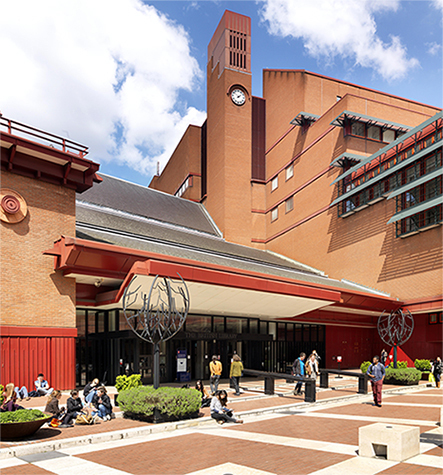 A formal review saw the British Library completely renovate its surveillance system by replacing its legacy analogue cameras with Canon Network Security Cameras providing Full HD resolution. The librarys grand architecture and high ceilings present a challenging environment. Cameras cannot be attached to walls and from this ceiling height, the legacy analogue cameras were unable to zoom in on an image without losing image quality. The library had to use two cameras to effectively monitor the same area under different lighting conditions  day and night. This had to be replaced by a single camera, performing a day/night operation. There are strict guidelines for the public to follow in the British Library when handling valuable books  many of which date back to pre-1851  including prohibiting food, drink and the use of pens. Still, there have been incidents causing damage to these books. To prevent this, the library needed a camera that was capable of covering areas both above and below the reading desks from a distance. Finally, the British Librarys tender outlined a need for the cameras to provide high quality analytics to help protect the institution from acts of terrorism and vandalism and cut the cost of unnecessary storage. Canon was quick to support the British Library with its digital imaging challenges. Canons VB-H610D fixed dome network camera met the librarys objectives and, following a successful pilot project, the library selected it to become its standard camera due to its Full HD resolution, rich feature set and wide angle of view with limited fish-eye effect  resulting in a significant cost saving. 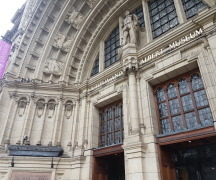 Despite the ceiling height and lighting issues presented by the British Librarys architecture, the VB-H610Ds optical zoom lens technology makes it possible to capture an image and zoom in up to four times whilst still maintaining detail in images. Canons wide dynamic range function, Smart Shade Control (SSC), helps to optimise exposure, improving highlights and correcting dark areas in backlit scenes and is equally effective in low light conditions  converting hard-to-see silhouettes to a clearly identifiable object. To help protect its most valuable books in the reading rooms, the surveillance system is to be further enhanced by introducing the Canon VB-H41. 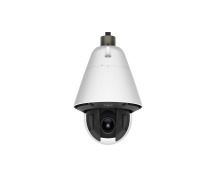 This Full HD Pan-Tilt-Zoom (PTZ) camera with its 20x optical zoom provides an advanced level of monitoring, enabling the security team to quickly identify any potential threats of theft or damage, while causing minimum disruption to the visitors. 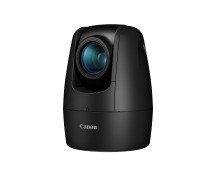 Canon cameras advanced analytic functions activate recording once they have identified a predefined level of threat, such as movement in restricted areas and missing objects. 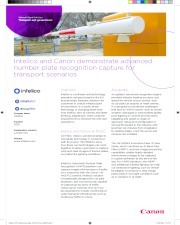 To accommodate this type of detection, Canon worked with Digital Video Recorder supplier Tecton to integrate these analytic functions into their recording solution. The British Library now has a far wider coverage area than was possible with the analogue cameras previously installed. With fewer cameras covering a larger space, the library saved approximately £250,000 in camera costs and associated installation charges. The Canon network cameras deliver high image quality at all times of day and night, even in low light conditions, providing an effective monitoring system for the librarys security team. Their H.264 encoder and multi-streaming capabilities deliver Full HD imagery in a highly compressed form to significantly reduce storage requirements. The use of intelligent analytics to trigger the recording of only predefined events helps to further reduce the storage requirement. The British Library has already introduced 110 new Canon devices in a little over a year to help better protect its extremely valuable collections. The library aims to have a wider range of high quality network cameras covering 95% of the building over the course of three years. 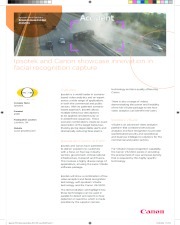 The British Library has been impressed by the standard of Canons range of high-quality network cameras, which benefit from Canons 70 years experience as a high quality lens manufacturer. The library aims to install an additional 290 models taking the total system to 400 Canon network cameras to complete its surveillance system upgrade project by 2015. By modernising its range of network cameras, the British Library has revolutionised the performance of its surveillance system; safeguarding the collections for future generations to come.